Procurement spend optimization is on top of every Procurement officer's mind. Yet, as companies continue to make large investments in supply chain information systems, they are not able to leverage all of their valuable - but often siloed - data. 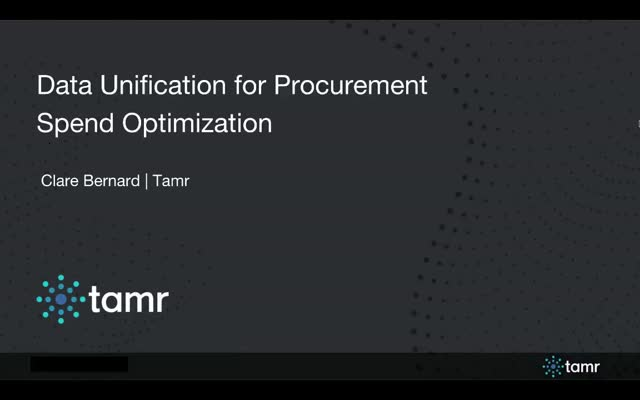 Join Lora Cecere of Supply Chain Insights, and Clare Bernard of Tamr, to learn about a new machine learning based approach to data unification, and how it is helping some of the world's largest organizations optimize their procurement spend, reduce supplier risk and improve cash flows.